Eastern Tibet is very different from the rest of vast and desert-like Tibetan plateau landscape. It is considered as a shining pearl in Tibetan Plateau with Nyingchi as a representative. Besides, its unique geography, mild climate, and the beautiful natural environment which are combined with centuries of isolation have created an atmosphere of magic and mystery. It has always been a paradise for photographers and travelers from all over the world. 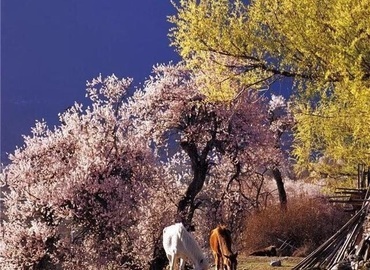 In this tour route, you will not only to experience the mystic Buddhist cultural atmosphere in Lhasa, but also have a chance to see the charming natural landscape in Eastern Tibet. It’s an inimitable and charming world where you will get lost in it. Nyingchi is known as the Jiangnan in Tibet. It’s a wonderful place where you can find the ultimate beauty of nature and the spiritual home for pure souls. 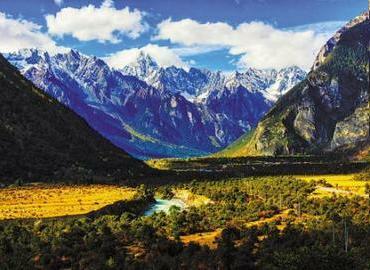 With a history of thousands of years, Nyingchi could be a dream place to travelers on a trip to Tibet. This tour begins with a three-day sightseeing in Lhasa, then you will set off for Nyingchi which is called the Tibetan Switzerland. Later you will arrive Tsetang to feel close to the "cradle of Tibetan civilization" and the origin of Tibetan Buddhism. This tour connected two of the holiest lands in Asia. Starting from Lhasa and ending in Kathmandu, it’s a journey of discovery and purification. After 12 days of the exciting and rewarding trip in Tibet, you will cross the border bridge between China and Nepal. Then step into a new world of beauty and peace. This impressive journey will not let you down definitely. 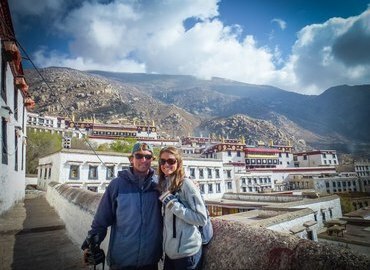 The itinerary involves all the important tourist sites in Lhasa, such as the Potala Palace, Jokhang Temple, the top three Gelugpa monasteries, etc. The significant activity is to witness the mysterious sky-burial site at Drigung Til Monastery.